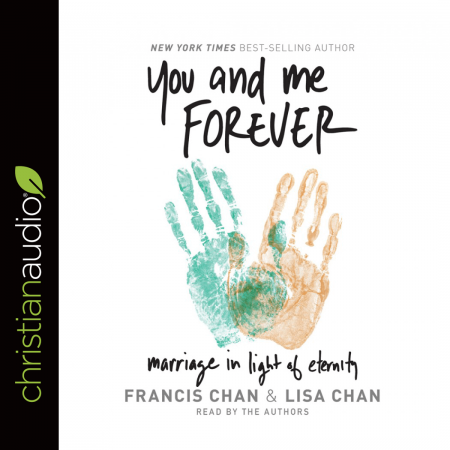 This book seemed sappy to me at first--but by the picture, but from the first chapter I turned out to really like it because it doesn't focus on having a cute cuddly marriage but on committing yourself to God and seeking his purpose in your life. It suggests that all things will fall together from there, and I hope so, but looking from the outside at a couple in our church whose marriage has fallen apart, it seems that one can be very committed and the other can be uninterested and marriages will still fall apart--this is an outside perspective though. It's a little off-putting how they give the impression that true Christians value families with many kids and it's selfish Americans who want to limit their families to fewer than three. I understand God values big families, but I believe he also values small ones and we aren't all called to have the same lives. My church class chose a book for discussion and study on marriage. I wish they'd chosen this one. As I listened through, I was trying to talk my husband into a future interest of listening to this with me. I'll certainly come back to it.